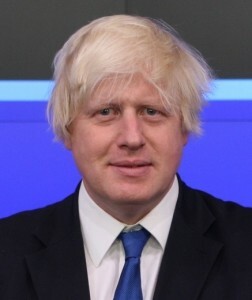 Boris Johnson, the Foreign Secretary, has said that the UK will continue to support Lebanon however it can following recent difficulties. It comes after the resignation of Saad Hariri, the country’s Prime Minister, and confusion over the reasons for why he had quit. “I spoke today to Foreign Minister Bassil on the latest developments in Lebanon. I reiterated to him the United Kingdom’s full support for the sovereignty and independence of Lebanon. Prime Minister Hariri has been a good and trusted partner for the UK, and we hope that he will return to Beirut without further delay, not least in the interests of Lebanon’s political stability. We urge all parties with an interest in Lebanon to do all they can to encourage this, and to work more broadly to reduce recent tensions. I reassured the Foreign Minister that the UK will continue to support the people and institutions of Lebanon at this challenging time. The Lebanese Armed Forces (LAF) is the only legitimate authority within Lebanon, and no militia groups or foreign forces should aim to challenge the LAF as the ultimate guarantor of the Lebanese people’s security. We echo the concerns of the United States and our European partners that Lebanon should not be used as a tool for proxy conflicts, and that its independence and integrity should be respected by all parties – within the country and beyond”.